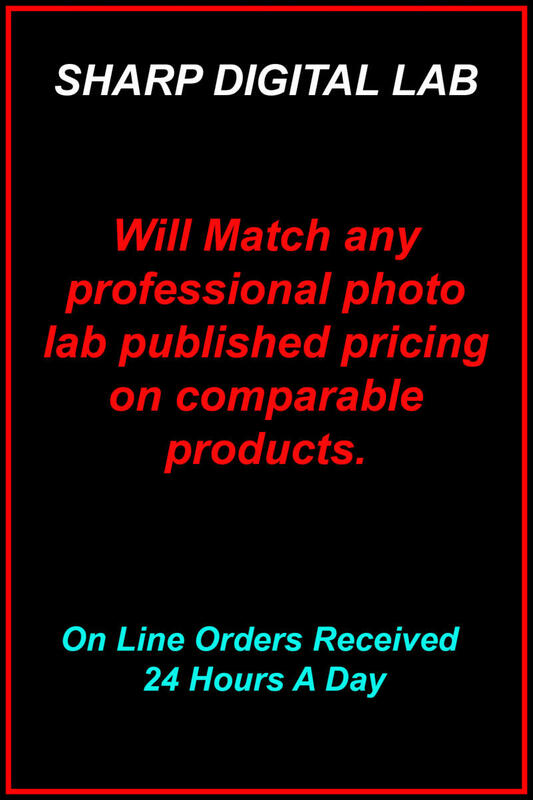 Sharp Digital Lab we specialize in professional digital photographic services, with and emphasis on the state- of-the art, cutting edge technology and old fashion personalizes service. Our turn around time can not be beat. Most orders are in and out within 24 hours. Specialty items may take an extra day. 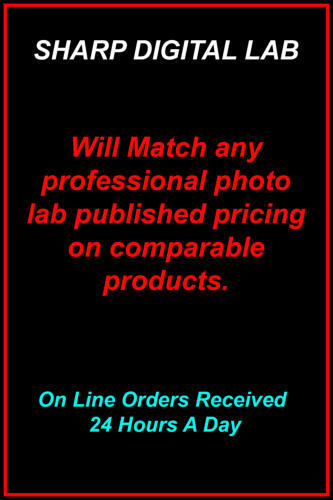 Prices on above links are for professional photographers and are base on their volume. We welcome walk in non professionals as well.